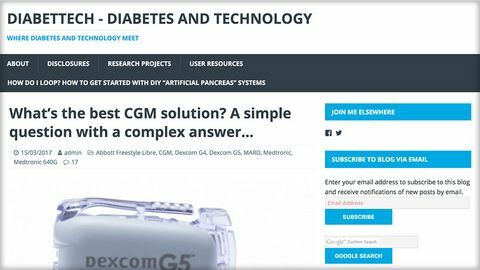 Diabettech - what's the best CGM solution? Quite a niche post from Diabettech for those considering their CGM options. A balanced opinion of all the different options - remember that some people may be eligible for CGM and Libre (flash) on the NHS, whilst others will need to self-fund. Good site giving a review of modern technology including a lot of self-build devices.